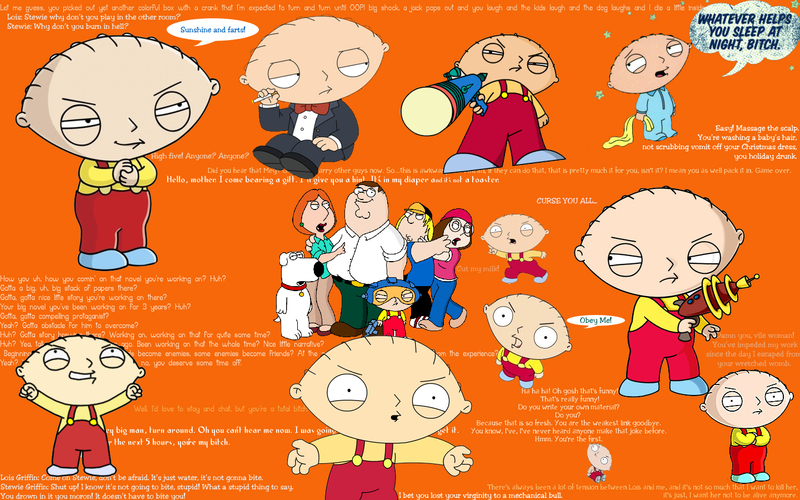 Stewie 바탕화면 w/quotes. . HD Wallpaper and background images in the 패밀리 가이 club tagged: family guy stewie guy family quote. This 패밀리 가이 wallpaper might contain 애니메이션, 만화, and 만화책.